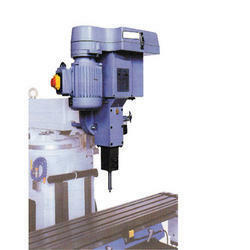 We are offering best quality of machine like- Milling Head. The high quality produced by our MAG’Impact® allowed Magotteaux to penetrate all major markets such as concrete, asphalt, ballast, recycling. Our 3 models are able to cover some special secondary applications but especially tertiary and quaternary applications in gravel pits and quarry rocks thanks to the remarkable flexibility and high capacity of the machine. Foundation Rails for Motor are generally used for grip the Motor Etc. • Available in ISO/R-8 and MT Taper shanks for cutters with bore die. Due to our honest business standards, we are gradually making our way to the platform of success by offering Milling Machine Head. 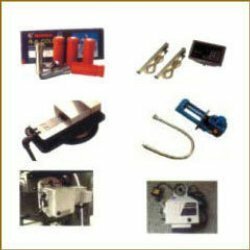 - We specialize in production of Milling Head, which is used for the shaping of metal and other solid materials. Price varies from Rs 1200/- to Rs 6500/- based on the specification of the products.